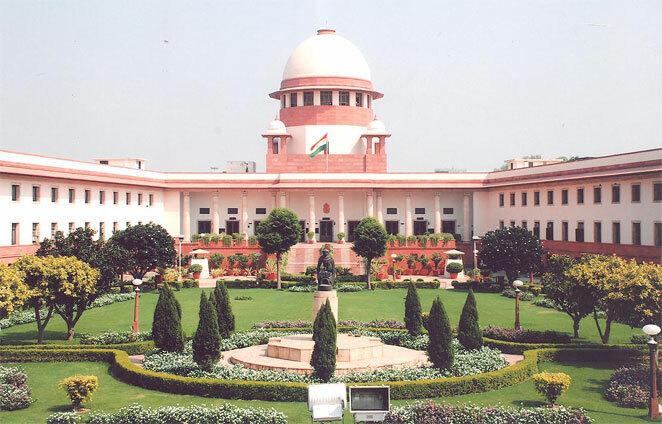 The Supreme Court on Wednesday after hearing has said that the scheduled floor test in Uttarakhand assembly will not take place on 29 April. The next hearing of the case is to be on 3rd May. Assembly speaker, Govind Singh Kunjwal had disqualified 9 rebels cong MLA. After the action, total statistical data of assembly was 61 MLAs strength. 9 rebels’ cong MLAs had joined hands with the BJP. The Supreme Court has said to the Union government, "Whatever changes you may desire in your writ petition file it after doing so by Saturday." The SC has said with the former Chief Minister of Uttarakhand, "if you intend any response in this matter, you can file it till Monday. Court is going to decide the matter before summer vacation." 1- Whether message sending can be exercised by this way; as the message by the governor had sent to the floor test under 'article 175(2)'? 2- Whether the decision for the MLAs’ membership disqualification may be the base of imposing president rule in the state? 3- Whether the delay in floor test can be the cause to impose president rule? 4- Whether the president can take the cognizance of assembly proceeding under article 356? 5- What is the position of appropriation bill and when is needed the president powers in the matter of appropriation bill? 6- "Money bill failed; so is being said and the government has lost its power", but in case the same is not said by the speaker, "the bill has not been passed"; who else can say it? 7- The governor and the assembly speaker both are constitutional officers, whether the governor can say to the speaker for the votes division? The apex court has said that speaker is the master of the House. How could governor say to the speaker that the voting should be recorded by audio video recording? You (AG) say that the money bill has not been passed, while the kept record of speaker reveals, “the money bill passed.” Who else will decide whether the money bill passed or not? Who prevented him when the 35 MLAs had demanded the floor test? The apex court said whether the governor had sent message to stop the floor test under 'Article 175(2)' and he may do so? Whether the disqualification of 9 MLAs in state assembly is correct? And appropriation bill is at what stage? What does president say on it? Whether the floor test delay can be the base to impose the president rule? Attorney General said, “if the money bill was passed on 18 th March, why did not send it to the governor? Why was it sent on 27 March? Abhishek Manu Singhvi said whether the delay in sending of money bill to the governor may be the base of imposing the president rule? If that the sting operation is correct may ratify, it cannot be the base of imposing the president rule. Singhvi said, “The Apex Court had ruled in SR Bommai Vs Rameshwar Prasad, ‘Only the floor test in all condition is the way." Senior advocate, Kapil Sibal, contended whether the union cabinet in Delhi would decide the money bill of state passed or not? Justice Deepak Mishra said, “if the burden of government is the question of majority, the floor test is the fair natural response.” The court asked whether the sting operation is the enough relevant substance to impose the president rule. The court said, “ TV sting can be wrong in the wake of social and moral ground reality, but how can it be the basis of imposing the president rule? Court asked whether the sting can be included in the base of imposing the president rule? If there was any suspicion on the money bill passing, it could have been clarified in the floor test on 28 th March.